I went a little nuts with buying wide leg pants recently...one of which was this cute pair of sailor-inspired pants from Forever 21! I also get a bit nautical crazy this time of year, so anything with anchors and gold buttons tends to pique my interest. But other than the obvious beach-appropriate nautical outfits, I wanted to try styling a work outfit that still incorporated some sailor style. The foundation: every great nautical outfit starts with something navy! 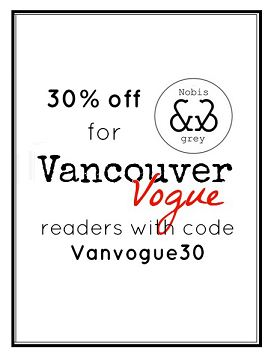 Believe me, as the weather gets even nicer, you're bound to see a whole lot more nautical style here on Vancouver Vogue! You've officially convinced me. I need those pants in my life!! !